Wednesday was supposed to be the last time that Stephen Strasburg pitched this year. But, he had a rough outing on the Friday prior against the Miami Marlins and the Nationals team leaders (Rizzo and Johnson) decided to shut him down early. Needless to say, he didn’t take it too well. (He wasn’t going to take any shutdown well.) News this week has included (conflicting) reports about just how much Strasburg’s doctor’s advice was or was not used in making the decision. And this follows up with season-long discussions in the media about the shutdown (never mind that we knew it was going to happen before the season even began because they told us it would). But that’s not what I want to focus on here. I want to focus on why the shutdown is a good thing and what we can learn from the decision. First, the shutdown shows that the long-term welfare and health of Strasburg is more important to the Nationals organization than the chance to win a championship now. The key word is chance. The Nationals are not guaranteed to win it all with Strasburg this year. In fact, his numbers have been trending downward since the All-Star break, and he has been showing signs of fatigue, both physical and mental. Strasburg is a team-first guy and he wants to be there in the thick of the race. If it was his decision, he’d still be pitching. But, it’s not his decision. He’s coming off surgery and the Nationals have said all along that they were going to follow a certain protocol to protect him. They are concerned about his long-term health. They want him to be a cornerstone of the franchise for many years, not just this one. They are following the same basic pattern they did with Jordan Zimmermannthe year before. And that plan seems to have worked. Strasburg is young and he hasn’t pitched many innings in his career yet. To be careless with him now would not be fair to him as a person. The Nationals are putting Strasburg’s welfare first. Shouldn’t we be about putting the welfare of others before our own? Second, the Nationals have a pretty good team, and while it is not ideal, they can survive and even thrive the rest of the way without Strasburg. Baseball teams are more than just the guys in the dugout each game. The organization (from top to bottom) is what makes a team thrive. The Nationals were not very good from 2005 (when they arrived in D.C.) until last year because the organization was not very good. 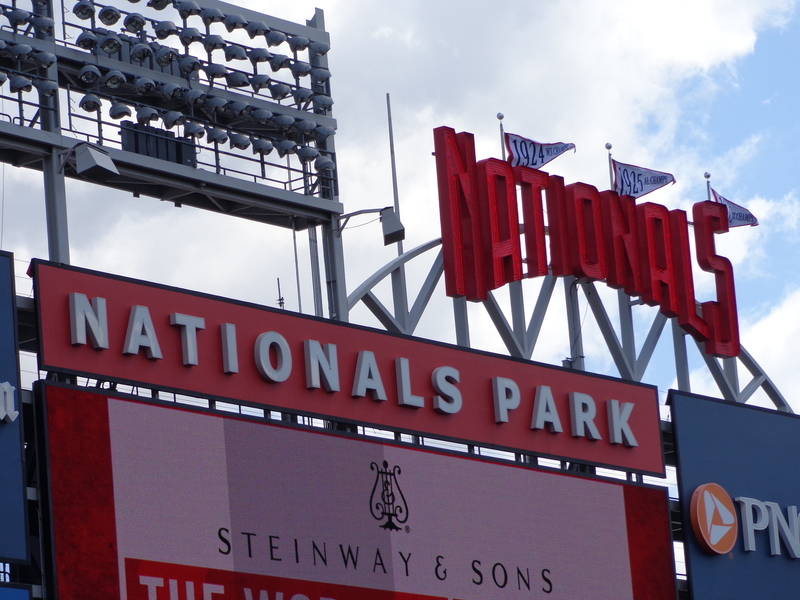 Over the years, many changes have helped the Nationals become what they are today. The owners, the front office staff, scouts, better drafting for the minor leagues, etc. has helped to make the Nationals what they are today: a very good baseball club. They have been able to survive a plethora of injuries because they have depth. And that is how they will survive without Strasburg. Do we celebrate those people that help make us successful? Third, very few realistically saw the Nationals as being this good this year. The Nationals themselves believed they would be good. Johnson said so in Spring Training. The fans, myself included, knew we would be better. But, not this much better! And as exciting as it is to be involved in a pennant chase and to finally have a chance to compete for a championship, I’m glad that the Nationals are sticking to their principles with the shutdown. They are not panicking and believing that this might be their only chance. They came up with a plan and they are executing that plan. They are not letting distractions, questions, comments, criticism, etc. keep them from staying true to the plan. Can we stay true to our principles when things get hairy? What do we learn from the Strasburg shutdown? I think we learn to put others before ourselves, to celebrate the contributions of others in our accomplishments, and to stay true to our principles. I’m sure there are other things we can learn. What do you think? I like the notion of knowing that it is better to keep a longview in mind when we think about formation. What seems right or feels right now may not be good for the long run. It seems like it is a balance of responsibility and privilege. Too much responsibility with no privilege builds resentment, but too much privilege without responsibility leads to arrogance. It’s not easy trusting others in a situation like this, when your own formation is on the line, but it seems like they are trying to keep a tension here, for the sake of the long haul. No one likes to make this hard decision, but I agree with you Stephen, I think it is the best for both the Nationals and Strasburg for the long term relationship.